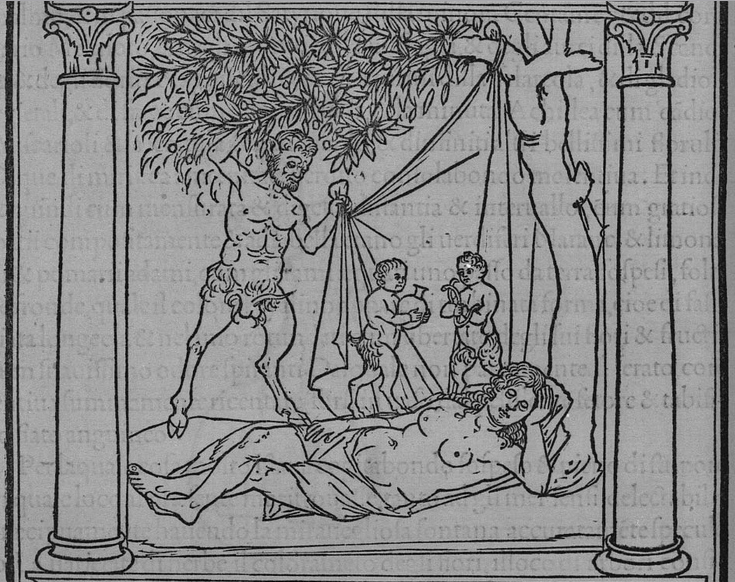 of the Marriage of Cupid and Psyches. 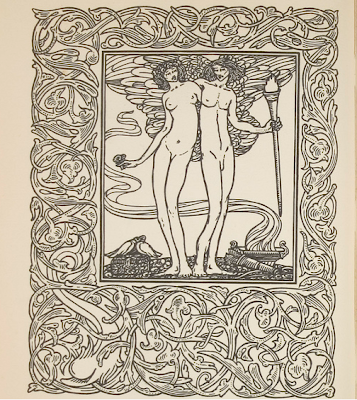 Printed by Clarke Conwell at the Elston Press, 1903. To Shakespeare, music was the food of love. 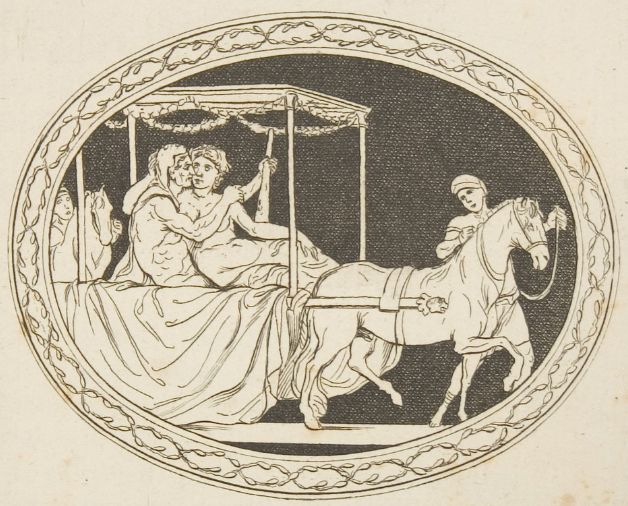 But to bibliophiles, there's nothing quite like a rare book with the look of love to set the heart racing. 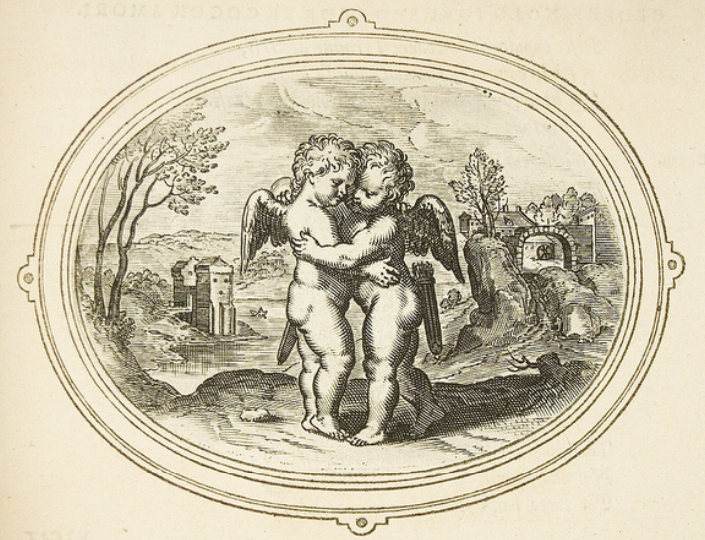 The amorous librarians at the George Peabody Library of Johns Hopkins University have created a visual feast of rare volumes for students at their Baltimore campus seeking "a nerdy but awesome way to spend Valentine's Day." Antverpiae, Venalia apud auctorem, 1608. Venice : Aldus Manutius, Romanus, Dec. 1499. 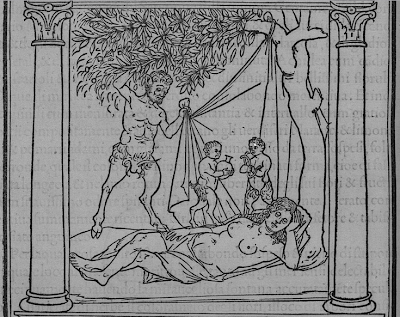 This detail of a satyr and a nymph is part of what the Peabody terms "one of the most beautifully printed books from the incunabula period." Known for its particularly elegant page layout and meticulous woodcuts in a refined Early Renaissance style, Poliphilo's Strife of Love in a Dream, is a mysterious romance. In this heroic tale, Poliphilo pursues his true love Polia through a dreamlike landscape. After many strange adventures the long suffering lovers are happily reunited at the Fountain of Venus. d'après une suite de pierres gravées sous leur règne. Caprées : Chez Sabellus, 1780. This detail depicts Marc Anthony, dressed as Hercules, with a seductive courtesan. Author Pierre d'Hancarville was a self-proclaimed "Baron," who was in fact the poor son of a bankrupt cloth-seller. He worked as an amateur art dealer, and through this work came to know antiquities collector William Hamilton, whose Greek and Pompeian vases later formed the basis of the collection in the British Museum. A Caprée : Chez Sabellus, 1784. A detail of Venus Callipiga, or Venus of the derriere. Pierre d'Hancarville edited a four volume inventory of the collection of William Hamilton, which is widely considered to be the most beautiful catalog of antiquities ever printed. 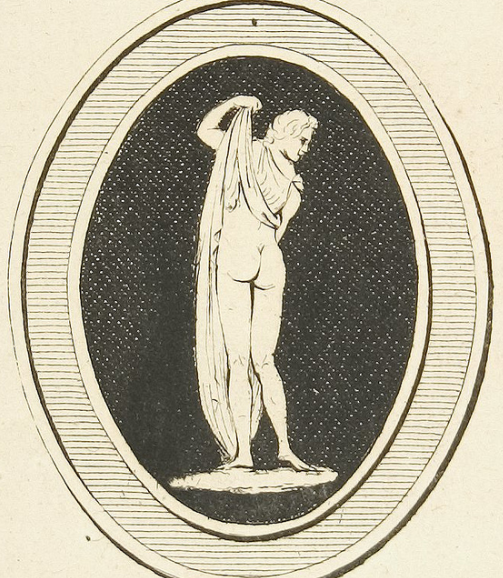 In addition he created two volumes of what were, in his day, some of the most frequently pirated collections of pornographic images in Europe, one based on purported depictions of the private lives of the twelve Caesars, and the other on what were said to be representations of a secret society of Roman courtesans. A detail from a plate depicting Venus and Cupid triumphant. 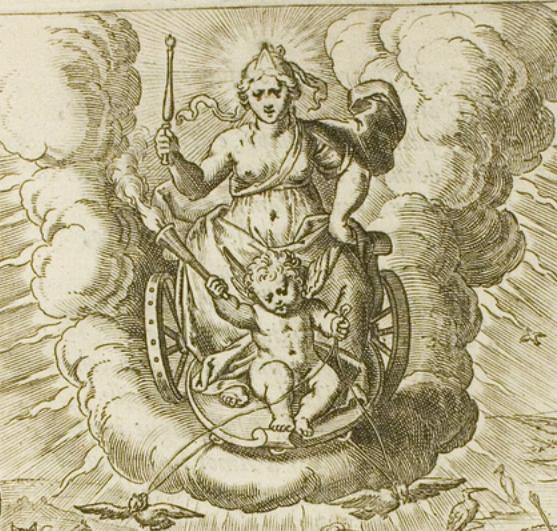 Otto van Veenn's Amorum emblemata consists of 124 prints of "love emblems" accompanied by poetical verses, chiefly from Ovid. 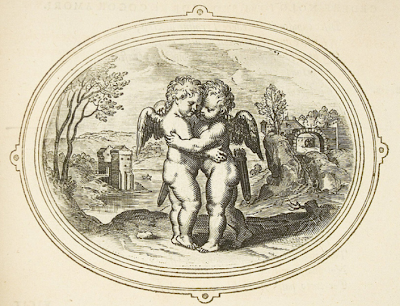 First published in 1608, it is aimed at young lovers who are told that the power of love is they key to all happiness. 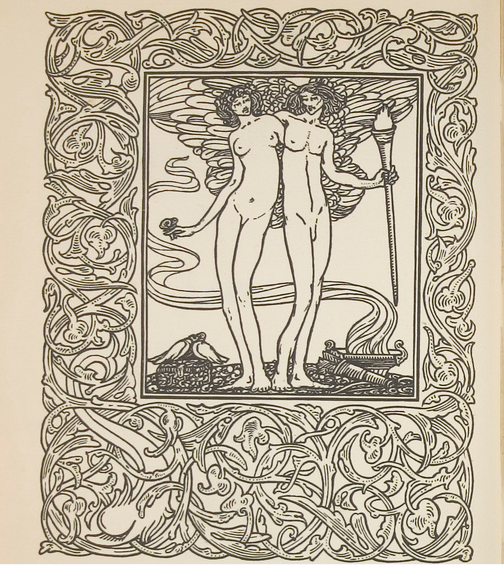 Many copies included "interleaving," or blank pages deliberately bound in between each printed page to allow the owner of the book to make his own additions and comments. Wishing readers everywhere a Happy Valentine's Day from Booktryst.